Google denies self-promotion, but is it too powerful? 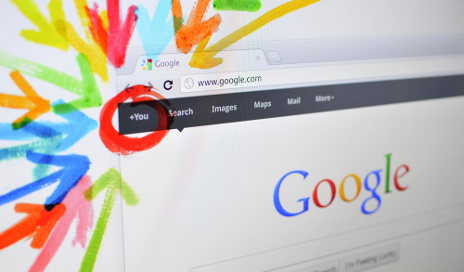 Google has denied fixing search results to promote its own services, according to the BBC. But with such a large share of internet traffic and information, is Google wielding too much power? Google chief executive Eric Schmidt told a US hearing that ‘Google does nothing to block access to any of its competitors and other sources of information.’ Asked if Google is a monopoly, Schmidt acknowledged that it has a responsibility because of its ‘market power’. Elsewhere Scott Cleland, author of the websites Googleopoly and Google Monitor presents the evidence from Google’s competitors who, he says, claimed that Google increasingly promoted its own content. Still, on its thirteenth birthday, there’s no denying Google’s hold over the web. Years ago, I read that one in four websites were accessed via the search engine rather than people typing in a website address, a figure I suspect is higher today. In the UK, Google.com and .co.uk has a combined 84.2% share of the search engine market, compared to the 4.44% of Microsoft’s Bing, which ranks second. Google, along with others, is contributing to a phenomenon that some are terming ‘the filter bubble’. This refers to the fact that although there are billions of web pages, in reality companies such as Google and Facebook are using information about us as individuals to personalise the results that they think we want to see. For example, Facebook’s Edgerank is the algorithm used to determine which friends you interact with – and so appear most often on your news feed. Similarly, Google’s near ubiquitous search engine acts as a filter for the trillions of web pages online. The bulk of people using it only click on links on the first page of search results. Hence there are volumes of text books and countless websites on Search Engine Optimisation, or how to move up the Google rankings. Increasingly, Google’s exerting its influence elsewhere, notably with the launch of Google +, its own social networking site to rival Facebook and the launch of its Chrome operating system. Google isn’t the only online giant accused of contributing to the filter bubble. In 2010 Hitwise reported that Facebook had unseated the search giant as the most-visited website in the US; together accounting for 14% of web traffic. Google’s too savvy an operator to risk its business by fixing web searches, and as Schmidt hinted in the hearing, has learned from the mistakes of Microsoft’s past. It probably doesn’t surprise you that Google knows so much – but is it likely to make you change where you search and what products you use? Do you think that Google is getting a bit too powerful? What do you use as your main search engine? Competition means winners and losers; you can’t have only winners. Unfortunately, and the most annoying thing for me in this game – the only way the losing side, whoever it might be, can compete is NOT by developing new and better services, but by taking their opponents to a court. In other words companies like Microsoft spend millions not on the development but on the lawyers. I think we need to reconsider the patents regulation, as it not fit to the purpose of development, quite the opposite.